This beautiful plant, with its dark green leaves, grows into a large tree. Send one to someone special, and theyll be largely impressed. 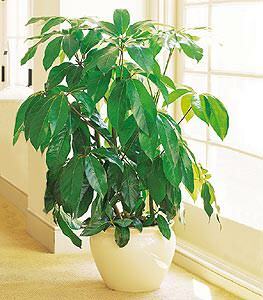 One schefflera plant arrives in a decorative container, perfect for home or office.